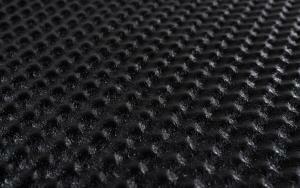 Acoustic foam rubber – material, suppressing sound vibrations. 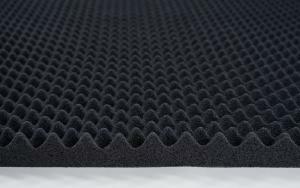 Acoustic foam rubber produced by our company is used in facilities where the noise level should be reduced (production shops) or good acoustic conditions should be created (halls, recording studios, radio studios etc.). Sound insulating and absorbing acoustic foam rubber can have self-adhesive base and can be fireproof. 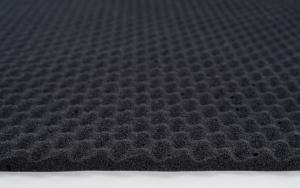 Acoustic foam rubber produced by our company is widely used in: heating and ventilating systems, music studios, cars, ships, aviation and for other applications. 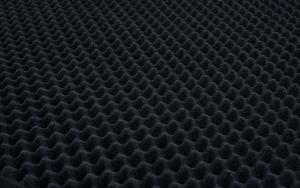 We sell acoustic foam rubber sheets.